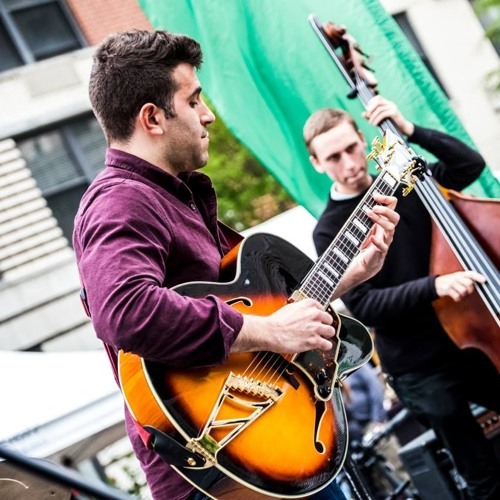 Anthony Fuscaldo is a session guitarist and composer from the NJ/NYC area. Throughout his career, he has performed and worked with numerous artists, including sessions with multi-platinum songwriter and producer PJ Bianco (prod. of Demi Lovato, Metro Station, Sean Paul, Regina Spektor and the Jonas Brothers), artists from Universal/Republic Records, and even members of the Wu Tang Clan at Legends Recording Studios in NYC. Anthony has composed music for clients such as "NYC GO," Korean news Television, Kendall Jackson Wine, and others. Most recently, Anthony’s music was selected to be featured in the movie “Once Upon a Time in Brooklyn” starring Armand Assante, William DeMeo (Analyze That, The Sopranos) Ice-T, Ja Rule, Vincent Pastore (The Sopranos) and directed by Paul Borghese. Anthony is also a member of the American Society of Composers, Authors, and Publishers (ASCAP).